Proposals to build 550 luxury homes at Donald Trump’s golf course near Aberdeen have been delayed after a fresh row over the planning application. 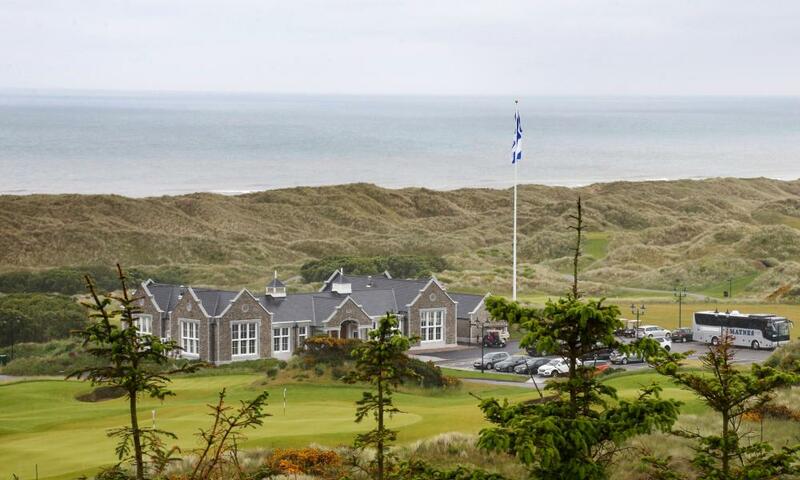 Aberdeenshire council has cancelled plans to consider the Trump Organization’s controversial bid to build a large luxury housing estate near his golf course, which has received a record number of objections from the public. In an unusually public conflict between the two sides, the council said Trump’s family firm had failed to provide the correct information quickly enough, and said it cannot be considered until the new material was properly reviewed by outside agencies and councillors. Sarah Malone, a senior executive with Trump Golf Scotland, hit back by accusing the council of “a gross misrepresentation of the facts and handling of our application.” She blamed the council for the delay. The council confirmed on Wednesday the planning application had been withdrawn from a Formartine local area committee hearing next week and would no longer be put to a full Aberdeenshire council meeting on 7 March. Council officials believe the Trump Organization has been drip-feeding important technical information about the planning application. It is thought the entire application could be delayed for some months to allow the latest material to be studied. The Trump Organization has had a series of planning disputes with the council, including building flagpoles and structures without planning approval. Malone insisted, however, the proposals could still go through next month. “The reason the Formartine area committee hearing has been deferred until its next scheduled meeting is due to the council’s inability to convene a design review panel meeting until the 22nd of January, more than four months after the validation of our application. The Guardian disclosed last month that Aberdeenshire’s housing department had told councillors the Trump Organization could be liable to pay a surcharge as high as £5m if it failed to ensure that 25% of the new homes were affordable housing available to local people. Aberdeenshire has a strict rule that a quarter of any new housing schemes must include affordable homes. As a last resort, developers will be told to donate the value of those homes for affordable housing elsewhere. None have been included in the first phase of the luxury housing estate, but Trump Golf Scotland has insisted it could yet include an unspecified number of affordable homes.